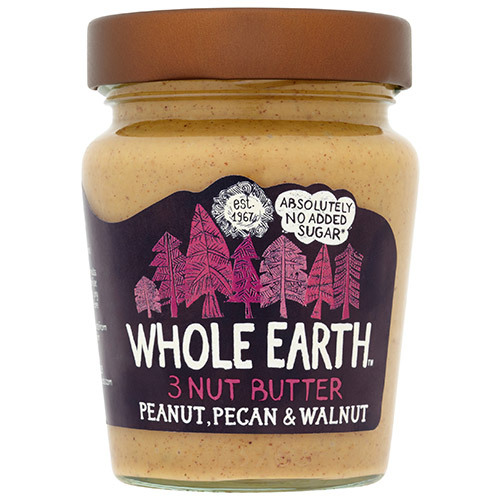 Combining all the wholesome goodness of peanuts, pecan nuts and walnuts, this wonderful 3 Nut Butter is made with the finest natural ingredients. Delicious on toast, crackers or added to cakes and bakes. Roasted peanuts (76%), roasted pecan nuts (10%), roasted walnuts (10%), sustainable palm oil*, sea salt. Below are reviews of Whole Earth 3 Nut Butter Peanut, Pecan & Walnut 227g by bodykind customers. If you have tried this product we'd love to hear what you think so please leave a review.